From 15-21 October 2012, icograda and the Graphic Design Association of Malaysia (wREGA), hosted Rediscovery 2012, the first ever INDIGO themed icograda Design Week. icograda Design Week in Sarawak 2012 provided a platform to share, collaborate and be inspired among local and international designers in an atmosphere steeped in Sarawak’s indigenous cultures and traditions. Our venue, the Kuching Old Courthouse, a 165 year-old heritage building, is located in the city of Kuching, Sarawak. As the largest state in Malaysia, Sarawak holds a rich history and sees significant cultural convergence. For all that is modern, technologically advanced and as developed as any regular metropolis, Kuching – the capital city of Sarawak – is equally rich in the arts and boasts artists of international caliber. 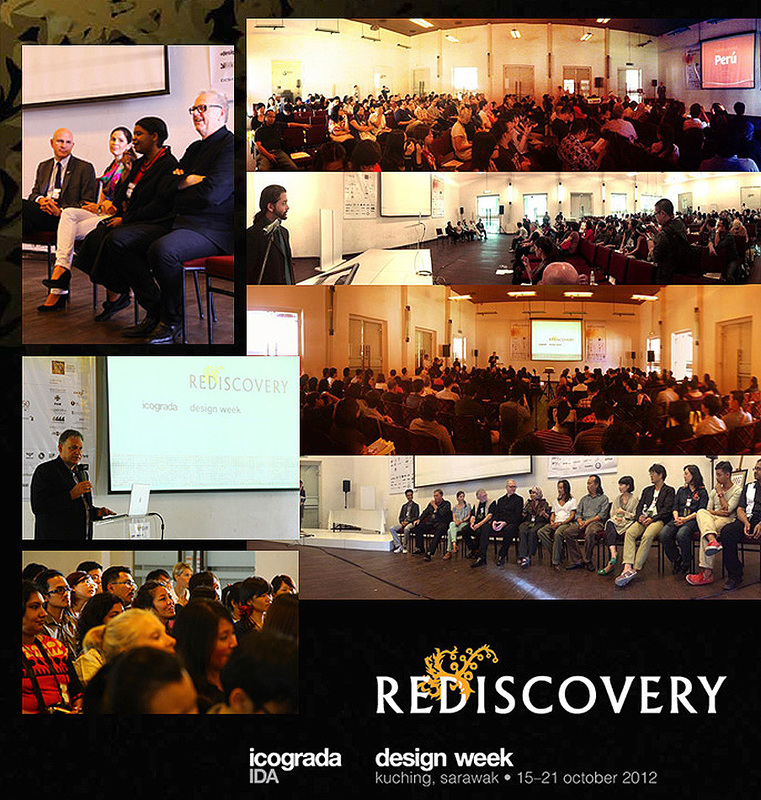 The theme for the 2012 icograda Design Week in Sarawak is ‘Rediscovery’. Rediscovery is a celebration of indigenous design and highlighted the relevance of local culture in a globalised world. It invites participants to survey creative practices of local indigenous people and provide a context to re-think the future of design in relationship to cultural assets. It will also aim to demystify the magic of Borneo for local and international designers. Through Rediscovery’s diverse programming, we shared case studies that reflect the integration of design strategies into the development of sustainable practices and social innovation in the craft industries. We will showcase the many ways in which design and visual communication can help the growth of creative and sustainable tourism, and also explored the notion of cultural diversity within indigenous design. .